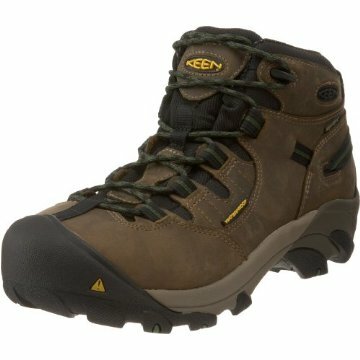 Bulky appearance yet light to feel, the KEEN Detroit XT Mid Steel Toe Waterproof Work Boot is designed to offer your feet support and protection. 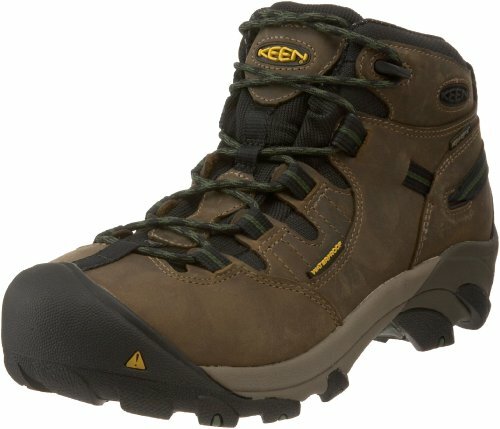 This work boot is designed with the KEEN Key-Tech plate that provides forefoot flexibility, and the removable metatomical footbed offers arch support and stability. Moreover, the KEEN. Dry waterproof membrane keeps your feet dry. KEEN. Dry technology Cleansport NXT technology KEEN. Key-Tech plate Removable, metatomical polyurethane footbed Dual-density, compression-molded EVA midsole Oil and slip resistant non-marking rubber outsole Meets ASTM F1677-96 Mark II non-slip testing standards Meets ASTM F2913 Satra non-slip testing standards Meets ASTM F2412-11 AND F2413-11 M I/75 C/75 EH standards. Size: 10 D. Color: Magnet/Paloma Leather. Gender: Male. Age Group: Adult.